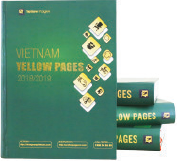 We at Vietnam Yellow Pages appreciate and value your feedback. Please help us expedite your enquiries or feedback by filling out the form below. Thank you. For any general enquiries or to speak to any of our staff. For any feedback related to our products and services. A Free Listing is a simple, smart way to spread the word about your business. Any questions, email us at contact@yellowpagesvn.com.